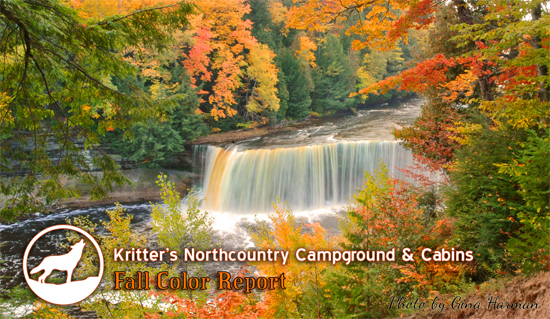 Welcome to Kritter's Northcountry Campground & Cabins and our Newberry, Michigan Fall Color Report and Upper Peninsula Fall Color Report by Kathy. 10/4/18 Now showing: Fall Color! Every season in the U.P. has its bragging rights. However, it’s nearly impossible to beat the breathtaking vistas our 7 million acres of forest offer each fall. Scarlet reds, sunny yellows, coppery oranges, coffee browns and hunter greens drench our trees with photo-snapping hues. The majority of the trees are beginning to realize it is time to prepare for fall. We have had our fair share of rain this fall so far the the temperatures have been cool. This has helped to expedite the process of the leaves. The temperatures next week looks to hold steady in the upper 50's to low 60's. Our best guess would be by the end of next week the leaves will be at their peak. They are currently around 65%. Nature will be putting on its finest art show that will be bright and vibrant. There is no shortage of U.P. fall fun! If you haven’t driven Whitefish Bay Scenic Byway southwest of Sault Ste. 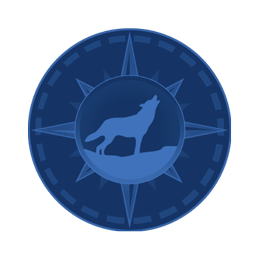 Marie, try it this year or take a leisure drive out to Crips Point Lighthouse. Take time to tour the Point Iroquois Light Station (open every day except Mondays until Oct. 15) and walk the beach. The rocks are as colorful as the trees. CHECK OUT OUR FACEBOOK PAGE FOR UPDATE PICTURES OF WHAT IT CURRENTLY LOOKS LIKE RIGHT OUTSIDE YOUR CAMPSITE!! The colors vary a little going different directions, but it is looking fantastic! !